To convert text directly from notepad, first, you have to open a text file, select the data and then copy it to the clipboard (Ctrl + C). 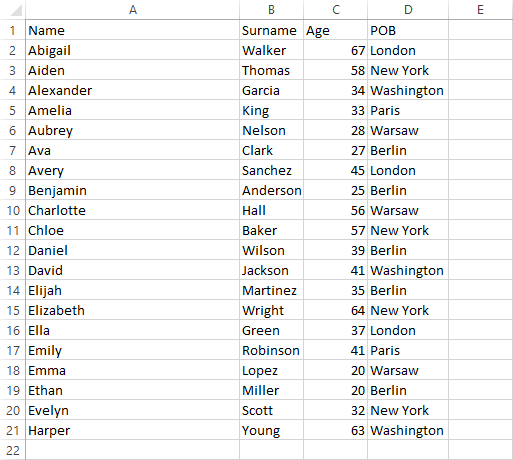 Paste the copied data into cell A1. 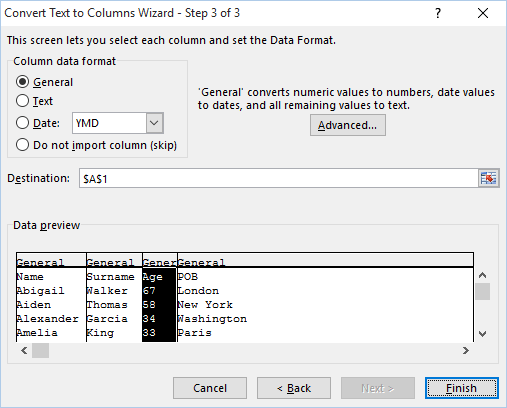 Select cells from A1 to A21 and choose DATA >> Data Tools >> Text to Columns. 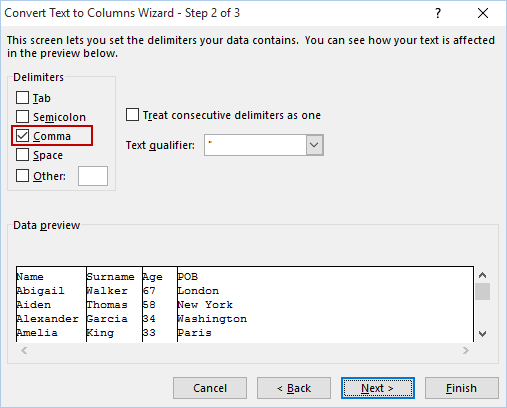 Text to columns tool will take data from one column and split it into multiple columns. In the first step choose Delimited. It will split text using a delimiter that is used to separate each word. Because our data is separated by commas, use the Comma delimiter. In the data preview, you can see that the data is separated correctly. 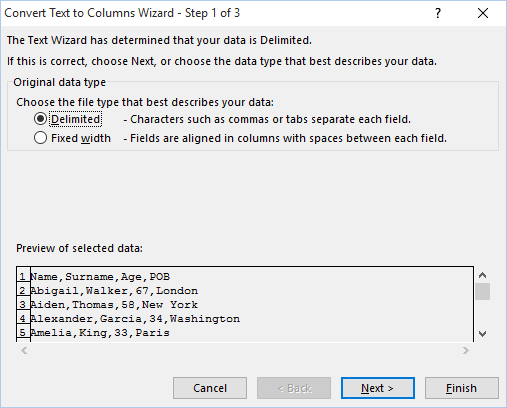 In the last step, you can choose which type of data the current column represents. In our case, we can choose General or Text. 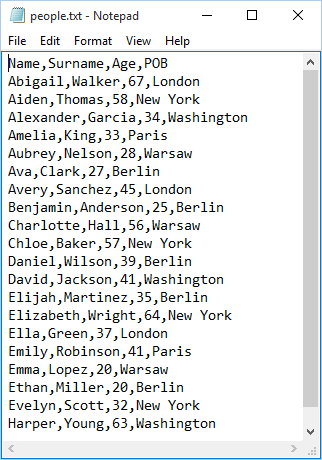 If you choose General, the numbers will be treated as numbers and the rest as text. If you choose text, all data will be treated as text. 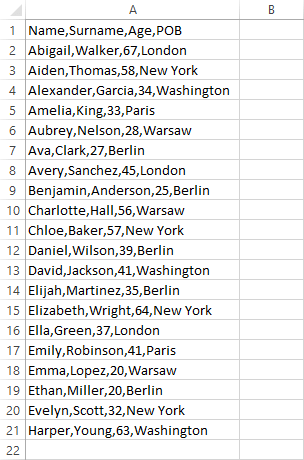 Click Finish to separate data. If you did everything correctly you should see the following result.